Successfully Added Wi-Fi Power Strip Type B - 3x Type B Sockets, 2 USB Ports, 1.7M Cable, Wi-fi Connectivity for iOS & Android to your Shopping Cart. With 3 type B plug sockets, this power strip is suitable for powering most home electronic gadgets. The type B socket is used predominantly used in North and Central America as well as Japan and several Caribbean countries. 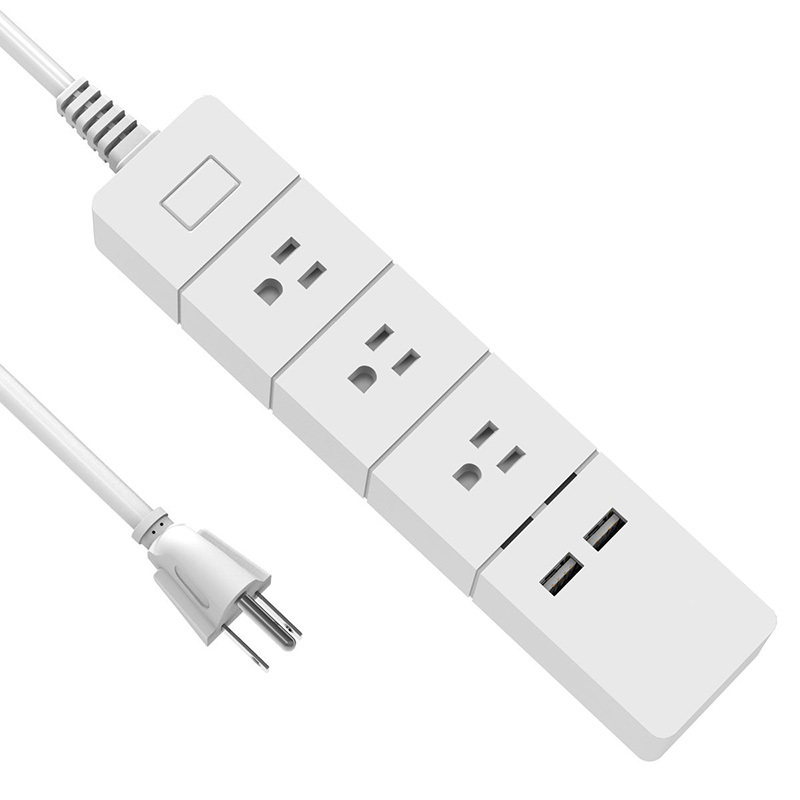 There are also 2 USB ports so this power strip is suitable for use at home or the office where it can power your computer, laptop, mobile phone, tablet PC, electric shaver, hairdryer and a host of other gadgets and gizmos. 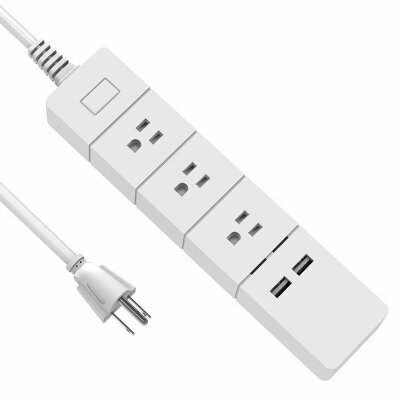 Thanks to the Wi-Fi connectivity you can link this power strip to your wireless network at home or in the office. Then by using the smartphone app which is available for both iOS and Android, you can control the power to connected devices from your phone. The power bar also supports Amazon Alexa so you can use it in conjunction with your Echo type device to have voice-activated control over your gadgets. It has a tough and durable design that features a master power switch and anti-slip rubber feet, allowing you to place this power bar on any surface. This Wi-Fi power bar comes with a 12 months warranty, brought to you by the leader in electronic devices as well as wholesale electronic gadgets..
USB Output: 3.1A Total Current.